Las Costas Nayaritas is unique. There is nothing like this restaurant in the city. 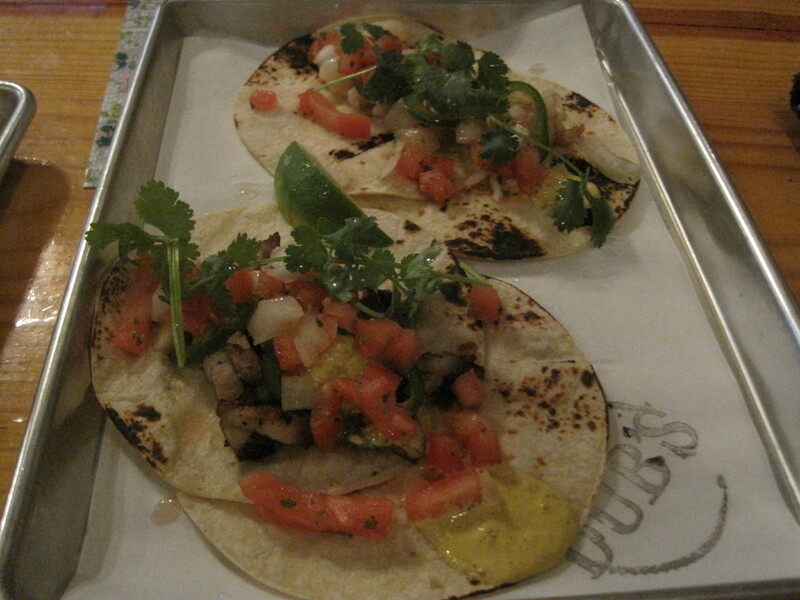 It is an eatery focused almost purely on coastal Mexican seafood combinations. The closest to this theme was the old U.S.S. Vallarta, now long gone from Gwinnett Place Mall. There was a restaurant similar to this that I saw in Dallas, Big Shucks, but Big Shucks was largely oriented towards shrimp cocktails of various kinds, inexpensive beer, and futbol on large television screens. I showed up at this restaurant a day before their Grand Opening, at a time when their lunch menu was also their dinner menu, and so the lunch I had may not be the lunch offering you get. 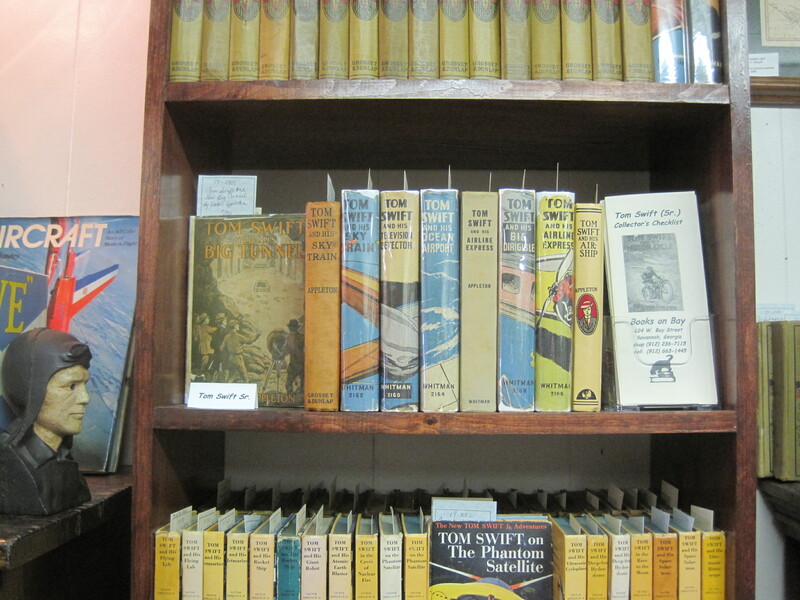 What I saw were a lot of staple seafood varieties and not a lot of exotica. There were things on the menu like crab, clams, oysters, shrimp, and octopus. Fish included tilapia, salmon, and perhaps a flatfish or two. There aren’t many exotic or rare items. Tortillas are large, crisp, corn based and a little granular on the tongue. The free tostada appetizer is better than anything I ever had at Lobster House. The plates of food tend to be expensive, relative to prices you might see at a Red Lobster. But by way of compensation, the serving sizes are *enormous*. No other word for it, enormous. This is a place to feed a lot of people with a few plates of food. Unless you eat Thai bird peppers for fun, be sparing of this hot sauce. What I ordered was the filete relleno, which Google tells me translates to ‘stuffed filet’. 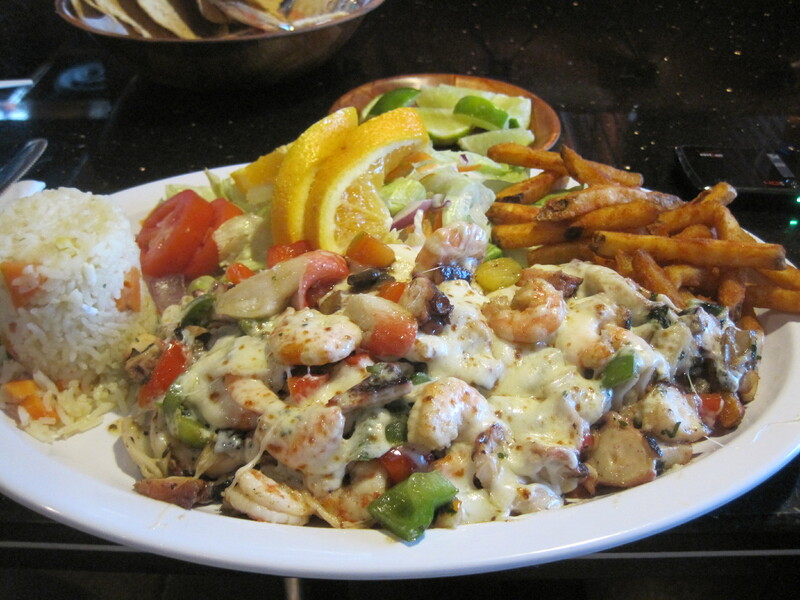 In fact this is a filet of tilapia over which a mixed bag of seafood and white cheese is poured. Again, the serving easily could have fed two and for the price, was actually a generous amount of food. This photo doesn’t really give the viewer any feel for how large this plate really is. I spent a lot of time fishing the interesting bits out of the white cheese and trying them out. The dish was delicious. The octopus ran a little chewy but it was sliced so thin that wasn’t an issue. In the mix were things like fish, shrimp, octopus, crab meat, sauteed mushrooms, and various vegetables. The sheer novelty of the restaurant has me contemplating it still. I think what would work best for most folks is to go in groups, buy one or two plates and share. I don’t think it has small amounts of food for small eaters. Serving size tends to be enough for two normal eaters (or one Chloe Morris). 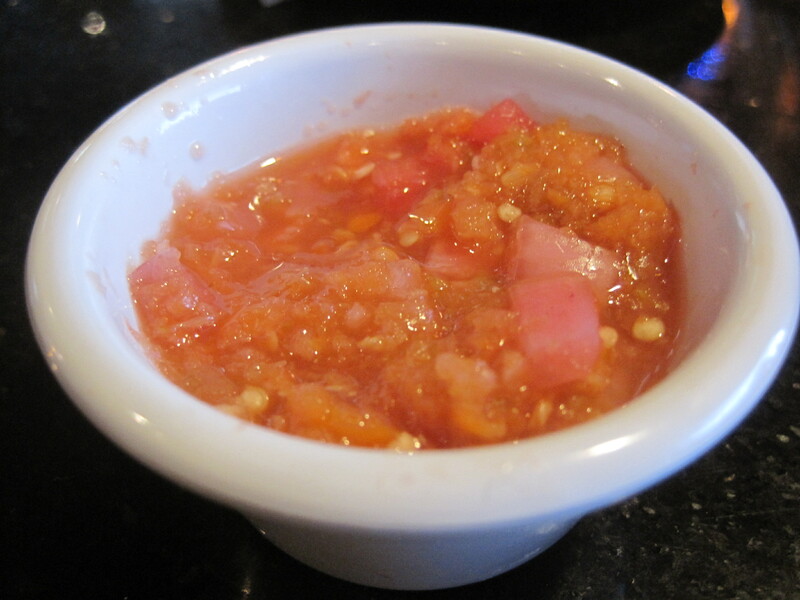 Update 9/8/2013: as Emily of Spatial Drift points out, the style of this cuisine is Nayarit. 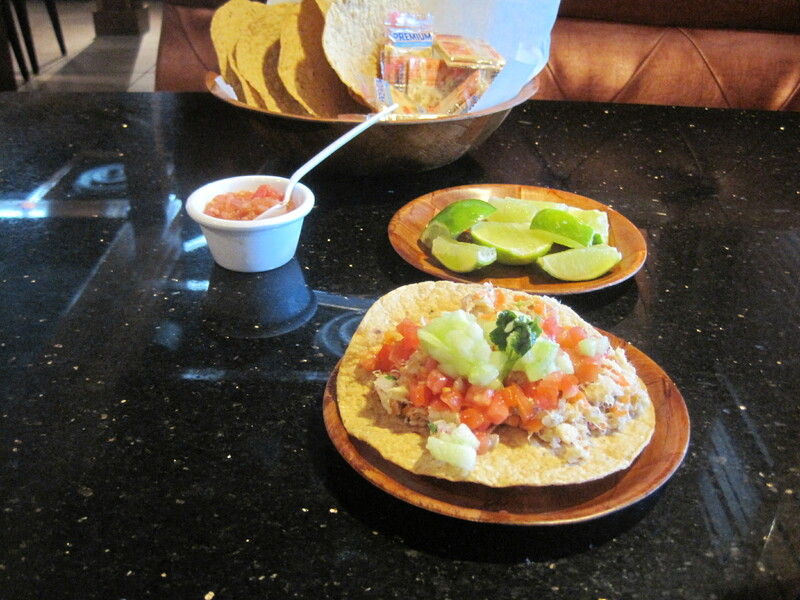 A nice introduction to Nayarit cuisine online can be found here. 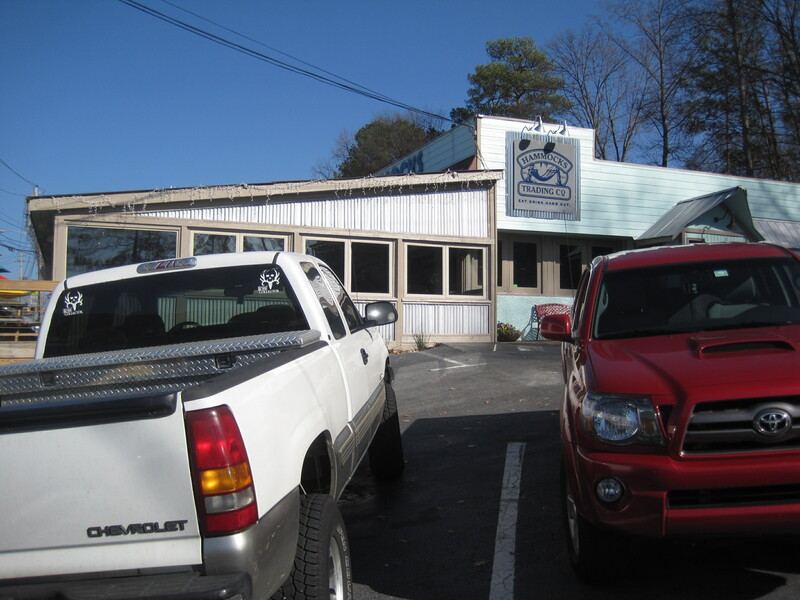 O’Shucks is the sister restaurant to Oyster Bay, found just off Highway 78 heading towards Athens. 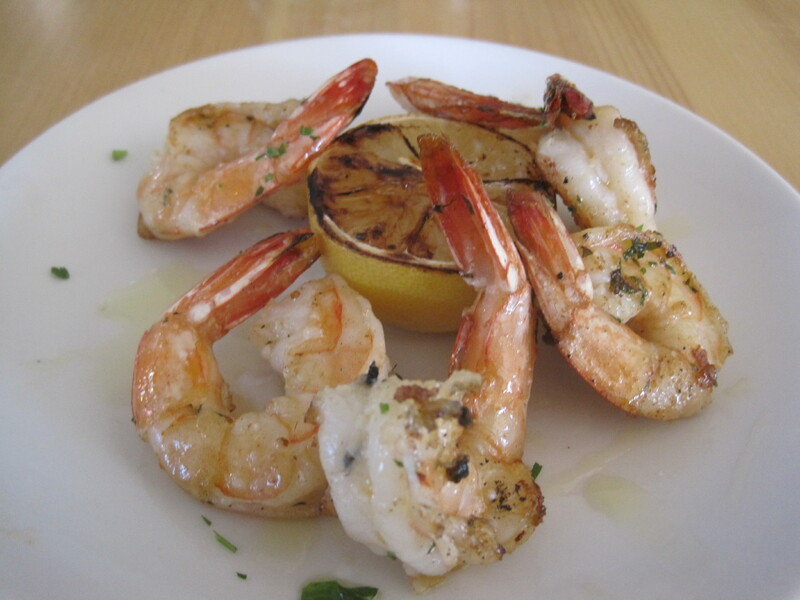 The emphasis is on sustainable seafood, especially oysters and shrimp. 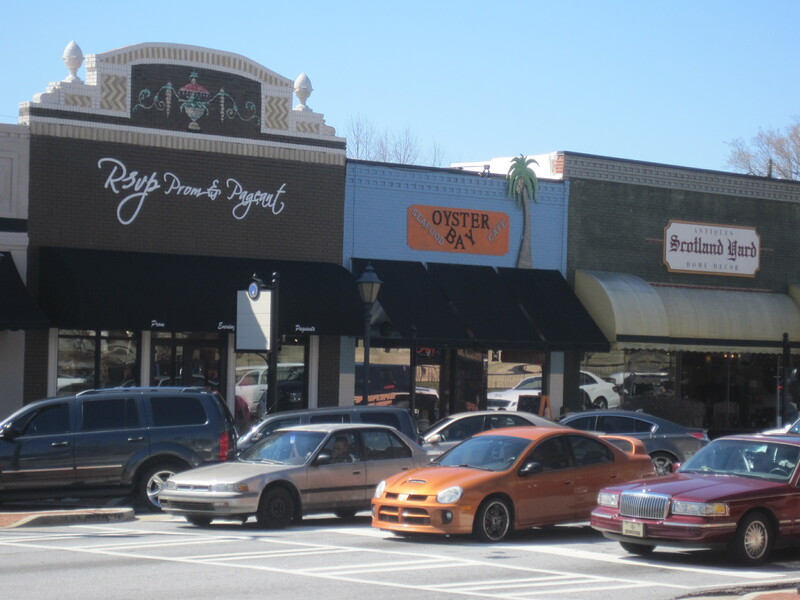 It’s a smaller restaurant found in a strip mall named Old Loganville Square, next to a pizzeria. Given the crowds we saw on a Tuesday night, O’Shucks is rather popular. As we went to Oyster Bay for lunch, we tried O’Shucks for dinner. We started with fried oysters, and a cup of she crab soup. Fried oysters were tender and tasty, the she crab soup delightful and rich. 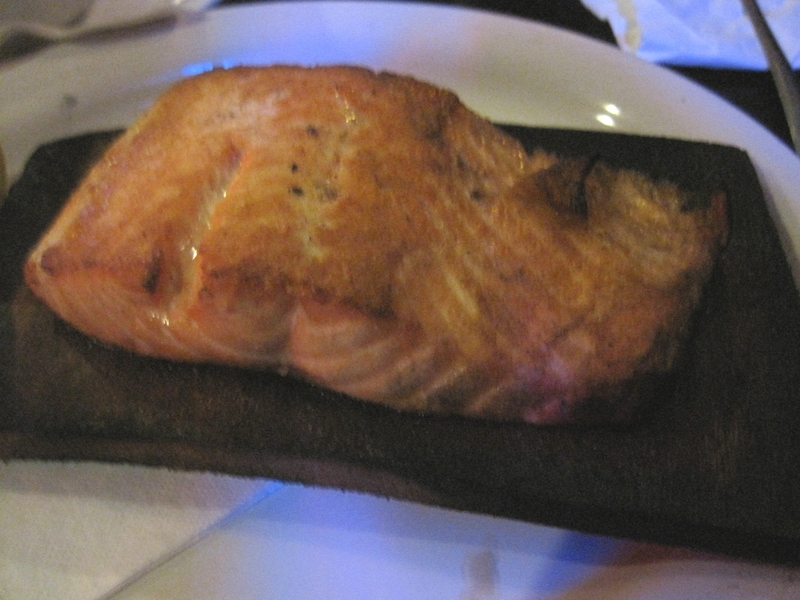 I had a cedar plank salmon, my wife and daughter had po’ boys. 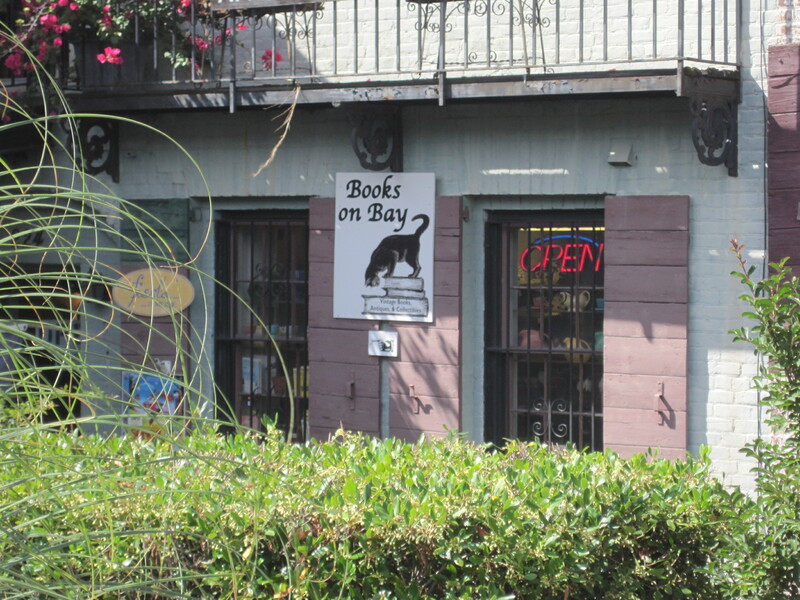 My po’ boy photos are lacking, and as the same po’ boy is served at Oyster Bay, you might check out that review for a better photograph. 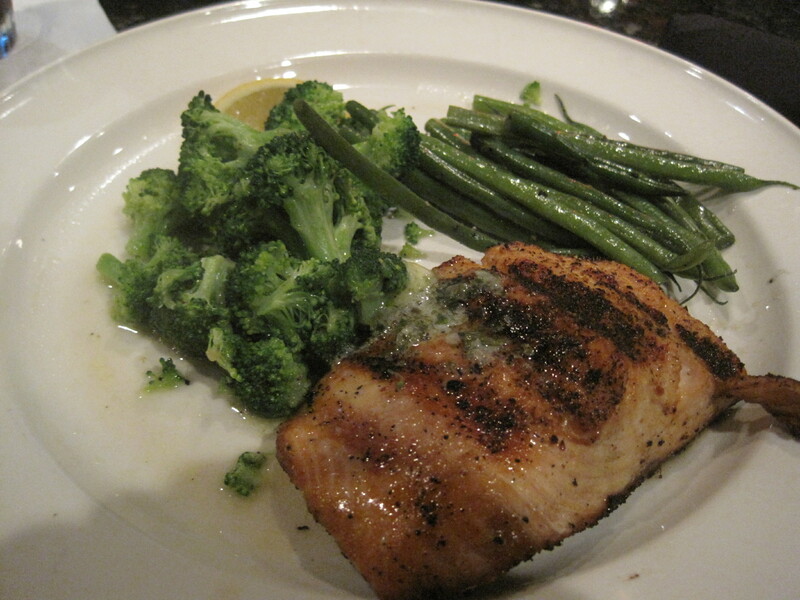 The salmon had a hint of crustiness, and was a pleasure to eat. Po boys were devoured. My daughter rates the fries as exceptionally good at O’Shucks. They’re crusted, the way some fast food restaurants do it. Staff were dressed in black, efficient, cute. Despite some eater reports to the contrary, these restaurants are clearly affordable. There are plenty of seafood and other options in the $7.50 to $11.00 range, good value for this kind of eating. Yes, we’ll be back, especially as my wife can’t eat meat on Fridays these days. This place, and Oyster Bay, are good enough to be part of the regular rotation of seafood eaters within a reasonable drive of their locations, as an original and casual alternative to Red Lobster and Bonefish Grill. 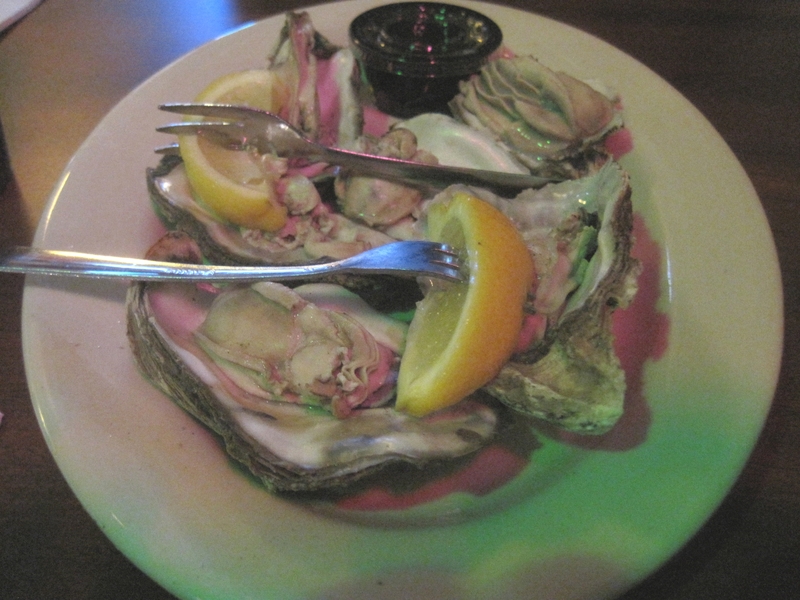 Tip: Oyster special on Wednesdays. 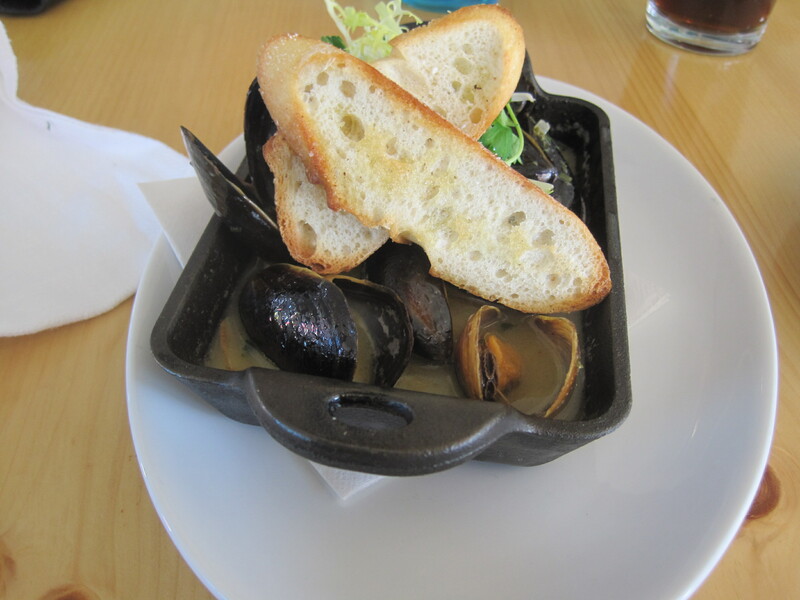 Oyster Bay Cafe is a restaurant found on Lawrenceville Square, whose focus is fresh sustainable seafood with plenty of oyster and shrimp options. Classed as a gastropub on Urban Spoon, I’m not sure I see that. 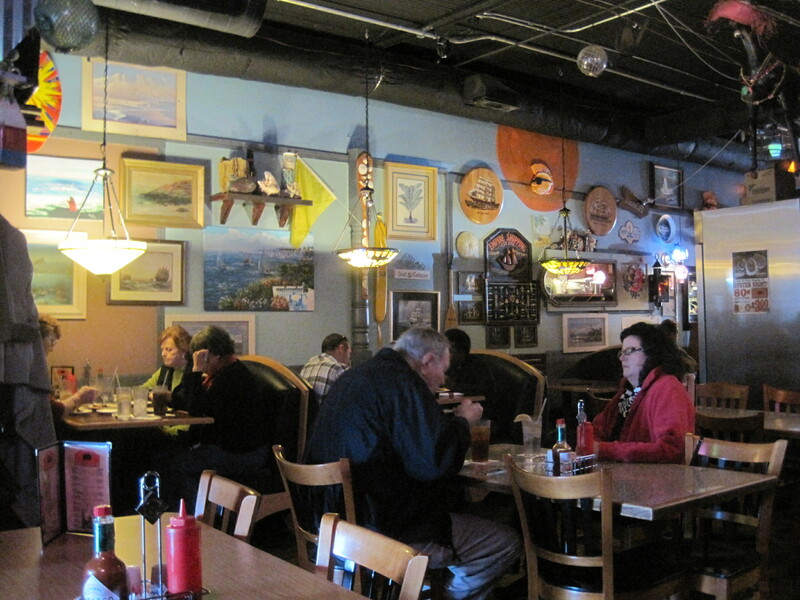 To me, it evokes an Atlantic Ocean seafood shack, perhaps crossed with a little Vortex style kitsch. 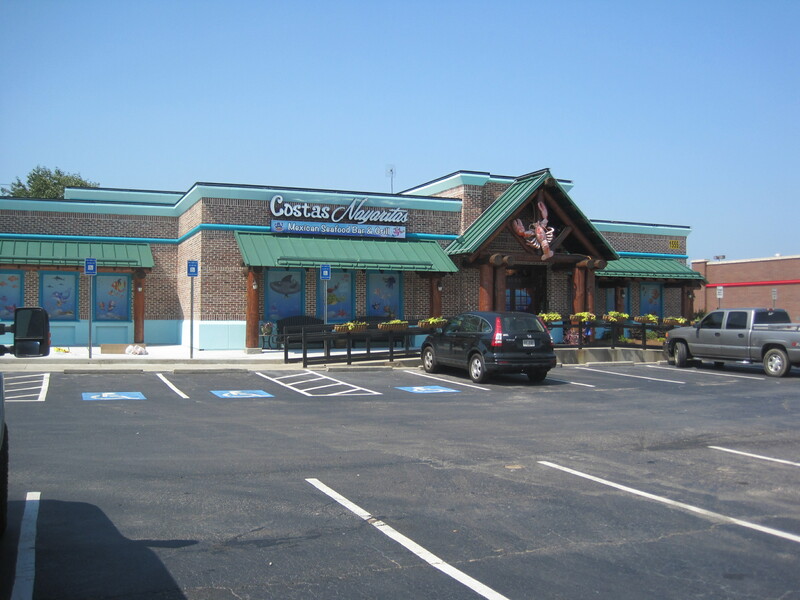 The restaurant is long and thin inside, and bigger than it appears from the outside. We came for lunch, were feeling a little cautious and not hungry enough to push the dinner offerings, so my daughter went with a bacon shrimp po boy and I got a shrimp and fish fried basket, broccoli instead of fries. We had 6 steamed oysters to start with, tender and good. 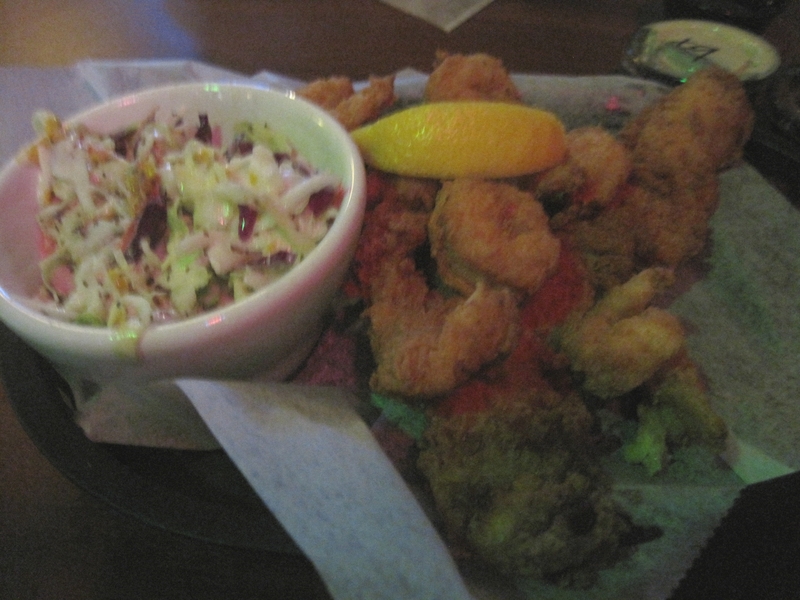 Fish and shrimp basket, with slaw. Bacon shrimp po boy, paired with some excellent fries. The fried fish was well cooked, dry, hot, and tasty. 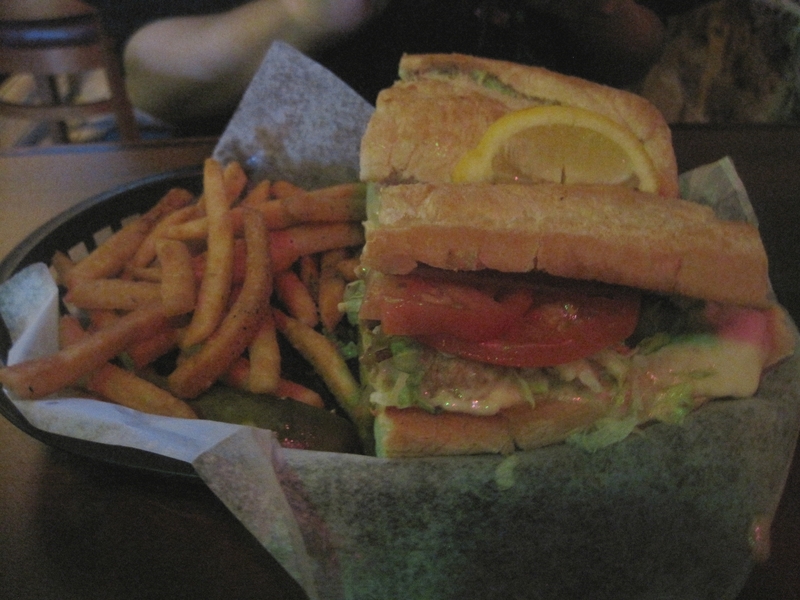 The po boy was good. My daughter leaves food she doesn’t care for, but she took what she couldn’t eat home, including the fries. Fries at Oyster Bay have a light crust (I think I’ve tasted similar at Checkers), and she liked that crust a lot. Staff here are good, homespun and chatty, a fine complement to the food. 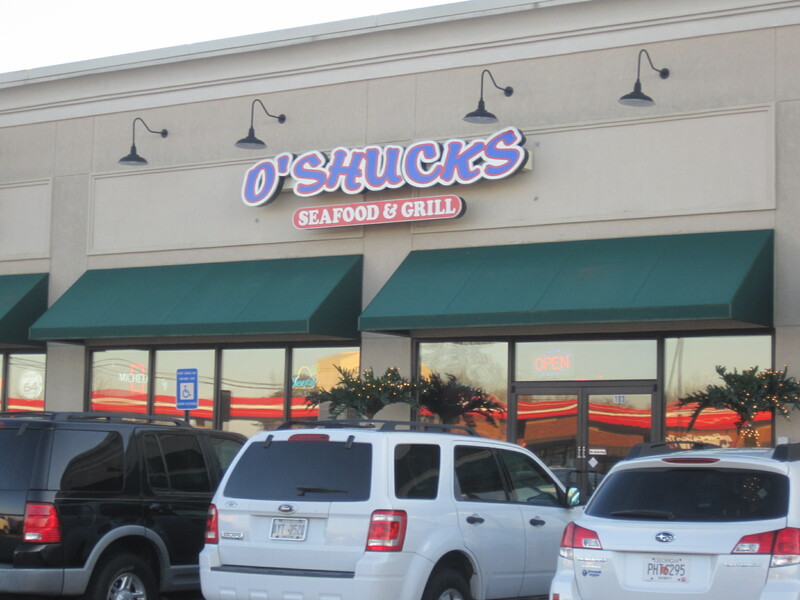 Oyster Bay has a sister restaurant in Loganville, O’Shucks. We’ll be reviewing that restaurant in a later post. But for now, know that a good inexpensive seafood option is available in Lawrenceville, and if you’re close, I suggest you go often. Complementary review: The 285 Foodies thread on this restaurant. 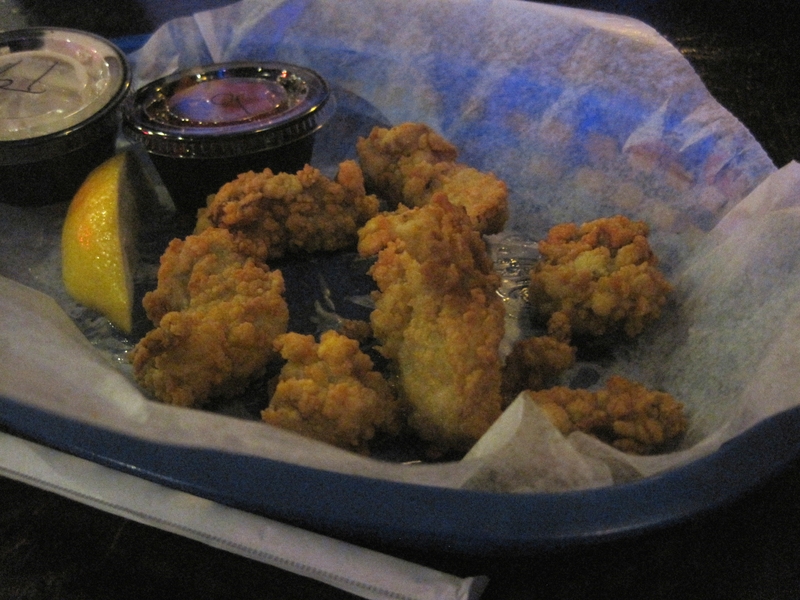 Tip: 60 cent oysters on Tuesdays. Buckhead Diner has a way of reminding people what a good dining experience is all about. The little things: asking your name as you enter, whether you have reservations or not, of then using that name in every conversation staff has with you. There is the uniform, with tie, that all staff wear. There is the constant graceful service that follows being seated. There is the manager, who makes sure your meal was right for you. There is the way, when you have food issues, the staff and chefs will work with you to get the whole meal just right. 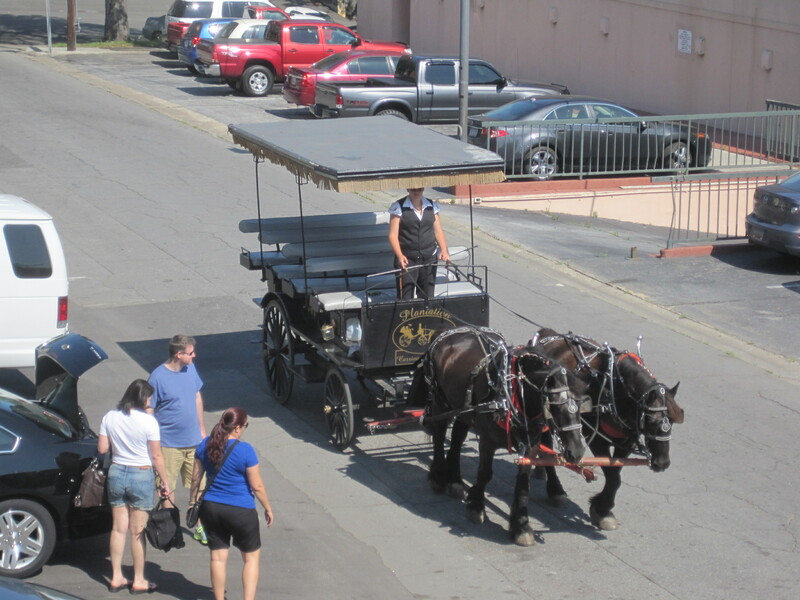 Metaphorically, Buckhead Diner is a fine vintage automobile, reminding people that yes indeed, some folks know how to put together a well oiled machine. The other thing a reader needs to understand is that it’s easy to read glowing reviews of Buckhead Diner and think, “There is no way a mere diner can be that good.” I’ll suggest that, just as the green of the tropics, so green you might think the photos are retouched, that no, most reviews of Buckhead Diner are actually pretty sober affairs and the superlatives are in fact earned. This isn’t your neighborhood IHOP folks, this is about as close as anyone in Atlanta can get to a walk-in fine dining experience. 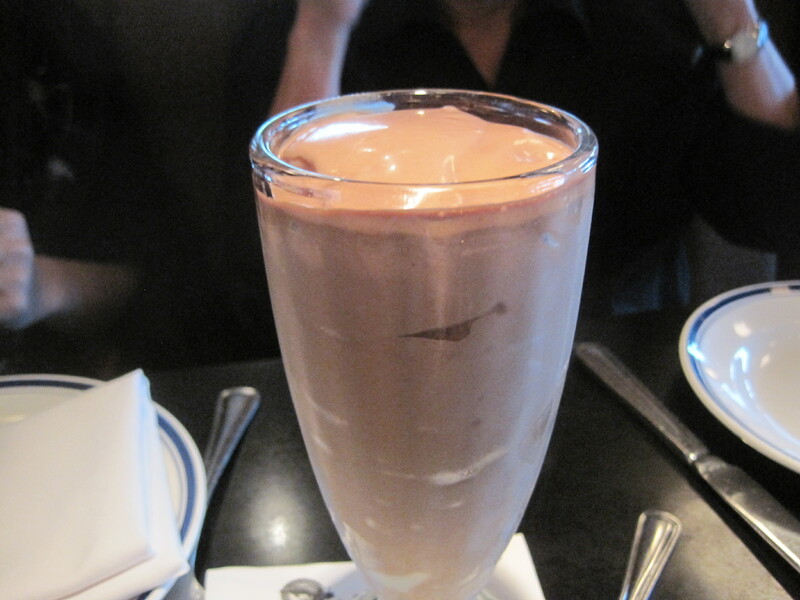 We’ll start with the milk shake my daughter received. It was so thick that if you dropped a quarter on it flat side, that the quarter would float and not sink. It was so good my daughter wasn’t able to drink most of it, as my wife started stealing bites of it routinely. 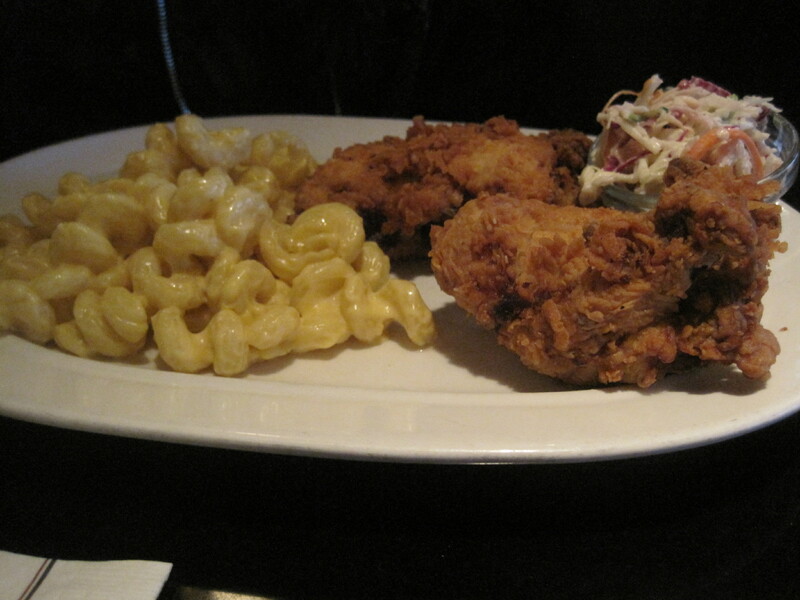 Buckhead Diner’s fried chicken, perhaps the best entree we ordered. 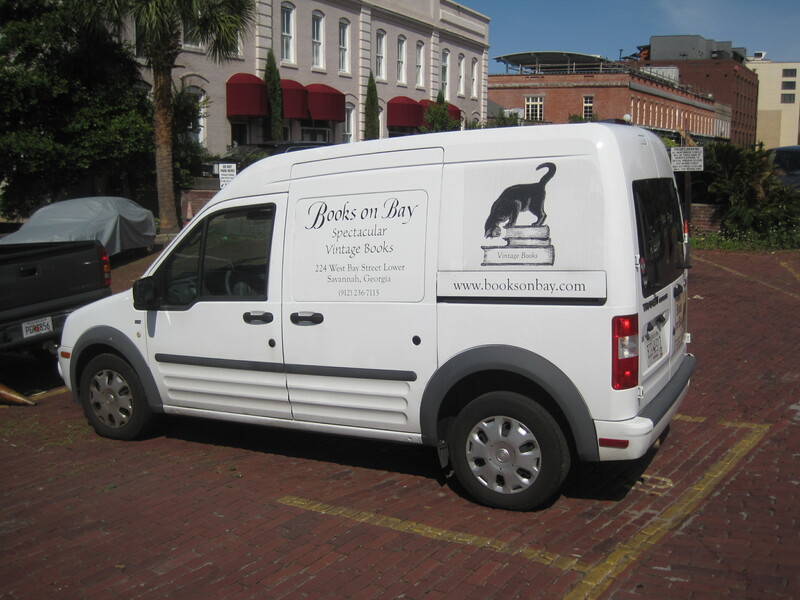 There was the fried chicken, sold only on Sundays and Wednesdays, that when my daughter took a bite, she could help but say, “OMG, so good!” And I’m sure the more cynical of my readers are saying, “Chicken? 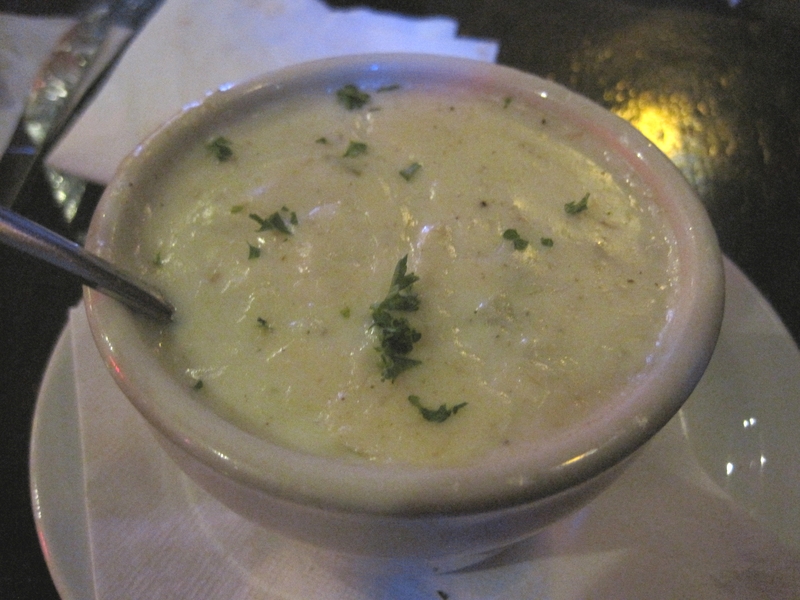 Give me a break!” But the deal is, Buckhead Diner marinates that chicken. It isn’t the packaged bird from Kroger rolled in panko, it’s something supercharged to another flavor level. 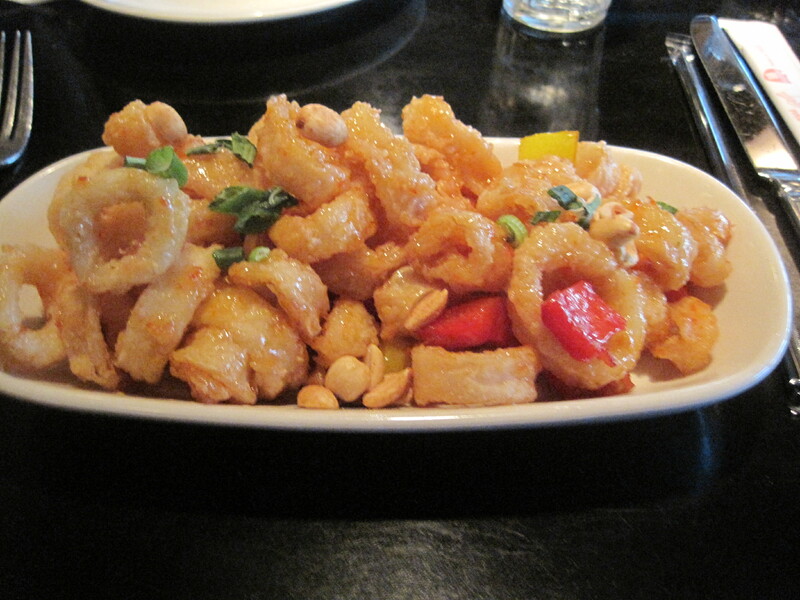 Chili thai calamari. Great tasting, though the sauce was more a classic sweet and sour style than recognizably Thai. Are there things to complain about? Sure. For example, we had Buckhead Diner’s chili thai calamari, and though the calamari was good, and the mix of peppers, octopus, breading and sauce tasty, the sauce itself more resembled the sweet and sour sauce found in any generic American-Chinese restaurant, as opposed to a distinctively Thai style flavoring. My daughter wasn’t altogether fond of the cheese used on their mac and cheese. But you have to get down to this level of detail before you can begin to find fault with the food. Under the pepper, portobello, and asparagus is a fine bit of lamb. Other things of note. 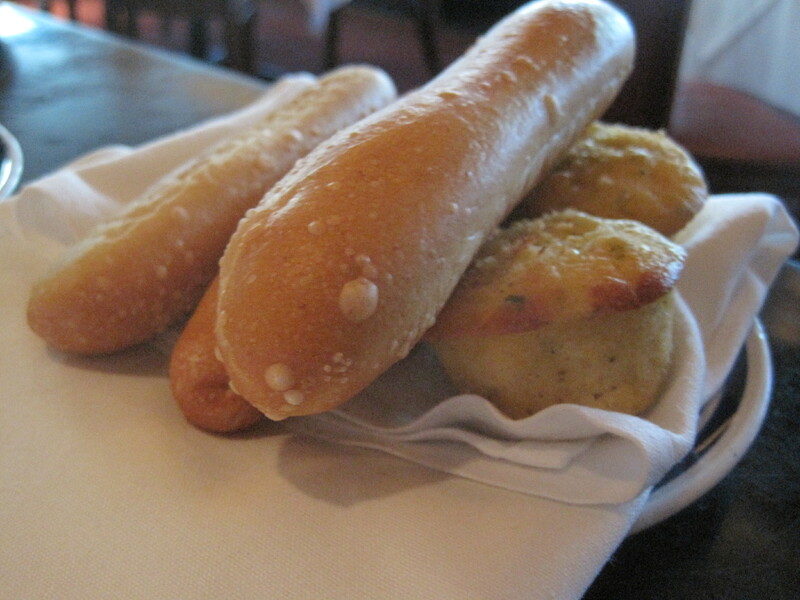 It’s easy to forget the bread they bring to the table, but the breadsticks and small jalapeno cornbreads are worth some time and trouble. My entree was a lamb shank, braised until it was fork tender, served with vegetables and a brown sauce. The serving was considerably smaller than the bowl it came in, but tasty and still tasting like lamb. Serving sizes are ample and we didn’t have room to get to the desserts, which are highly thought of. Some notes on pricing. I think burgers start around 12 and go up, dinner salads around 15. 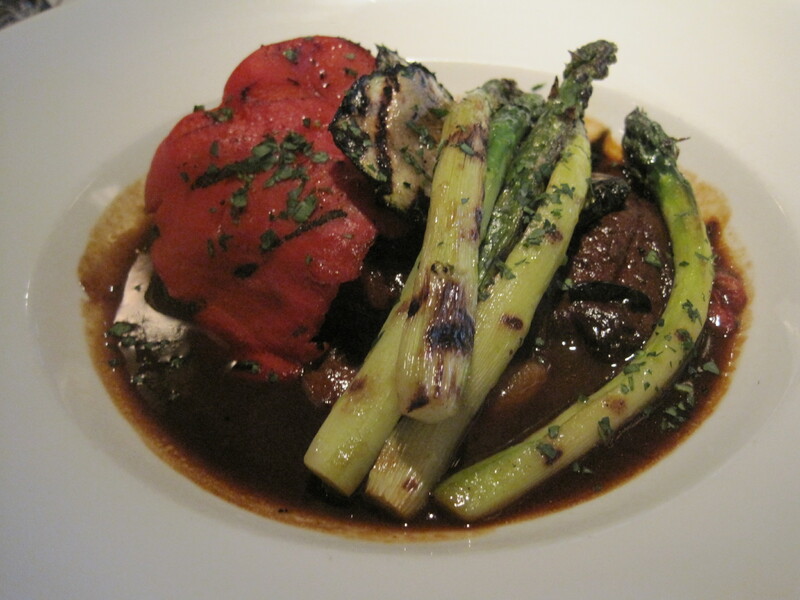 A main dish may start about 16, tend to be 18-22, and the most expensive thing I saw was a fine steak around 30 dollars. Given the quality and the almost anytime access, I think the food here is reasonably priced. But I would suggest that, for those who use plastic to pay for meals in this price range, to bring enough cash to tip the staff in cash. They’re worth it. Access from Snellville: Google Maps suggested an excellent route to this diner, one easily summarized. Take 78 into town until the N Druid Hills split and head down N Druid Hills. Turn left when you reach LaVista Road (there will be a Steak N Shake on the left). Take LaVista until it becomes Lindburgh and turn right when Lindburgh intersects Piedmont. 1.2 miles later on your right you will see Buckhead Diner. Don’t be surprised if you see Fogo De Chao first, as it’s a taller building and nearby.